If ever trying to fix Xiaomi Redmi 4X Touch Screen failure issues and you’ll do replacing the touch plate module, trying to calibrate the touch screen setting but unresponsive and restoring, upgrading and flashing the device firmware but nothing happens, the problem still exist and the touch screen left unresponsive. 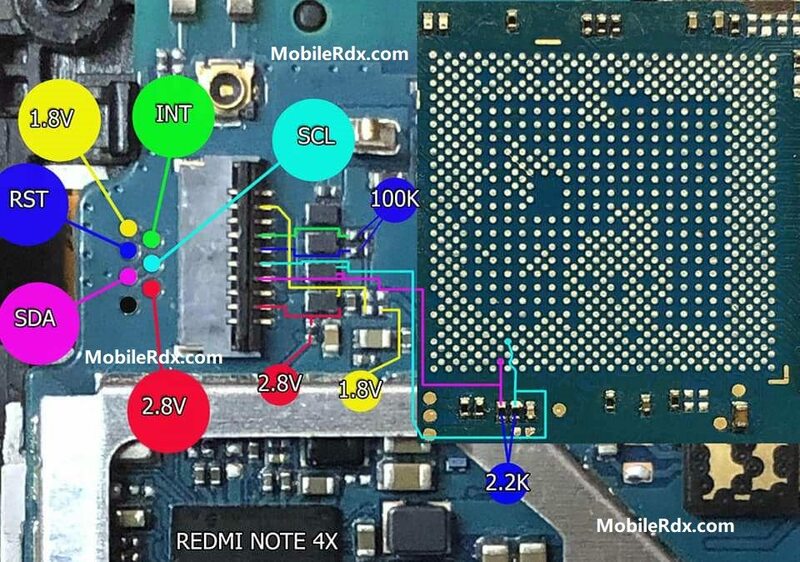 This solution below show the Xiaomi Redmi 4X PCB board components that holds and control the touch screen panel to work. Plug-in any other good Touch Screen and Check. This step is to verify whether the problem is in hardware or Xiaomi Redmi 4X touch screen is faulty. Re-solder each pin of the touch connector and check.